$26.5 - Newly released by Rylee and Cru, this one piece swimsuit is part of their spring 2017 collection. 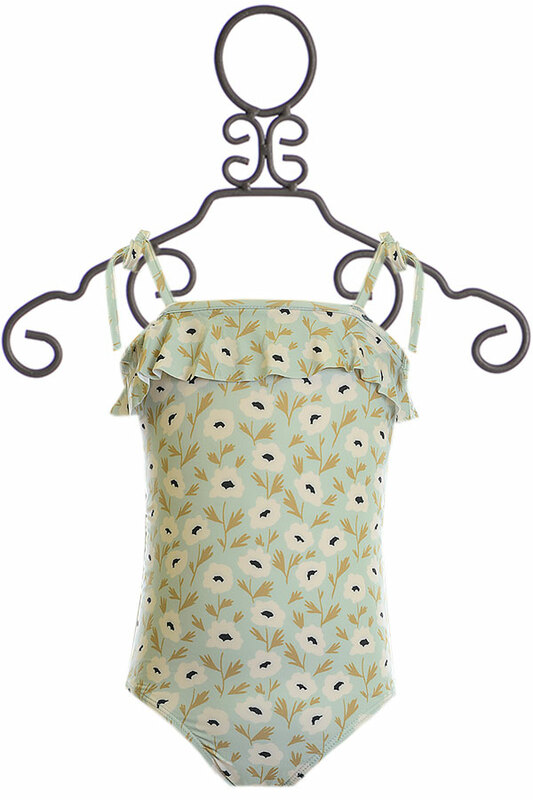 The neckline features a ruffle accent while the thin shoulder straps are tied into a knot. The light sea blue is covered in a modern floral print, white and reminding us of poppies.88% Polyamide and 12% Elastane Shell. 90% Polyamide and 10% Elastane Lining. Hand Wash Cold, Line Dry. SIZE 2/3 AND 6/7 REMAINING.